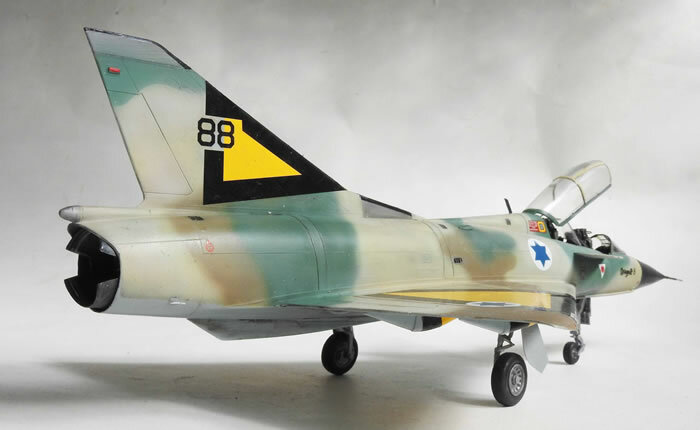 Here are my two Heller 1/48 Mirage IIIBs in IDF schemes. 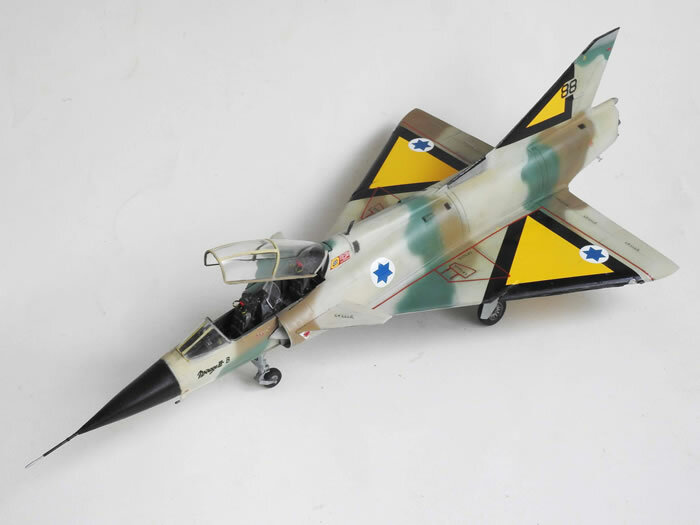 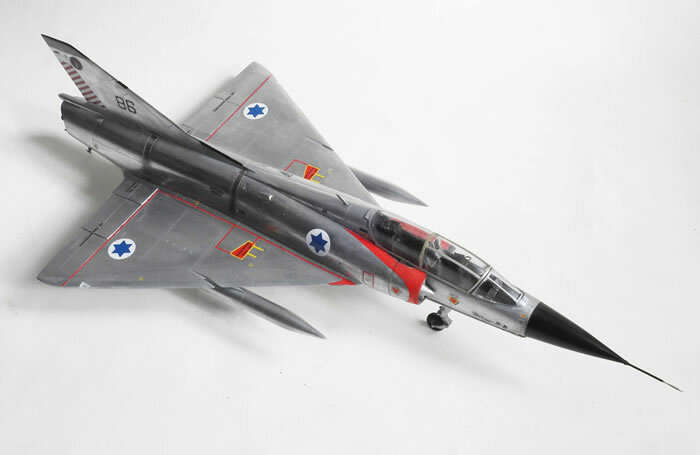 The models represent two of the four aircraft in the IDF service. 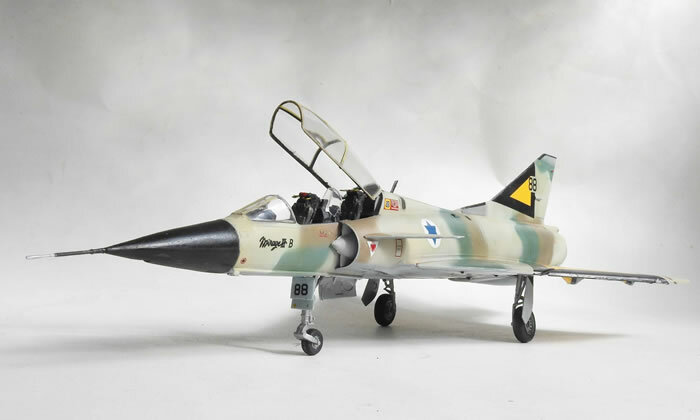 Heller's Mirage III is a basic model with minimal detailing and raised panel lines. 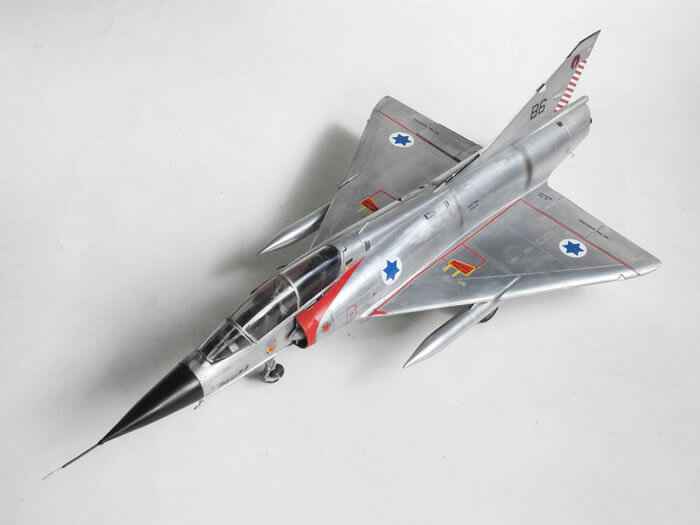 Nonetheless, it captures the sleek lines of the delta jet well. 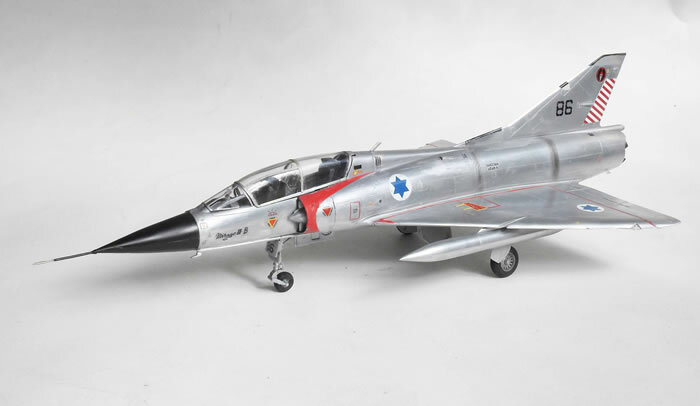 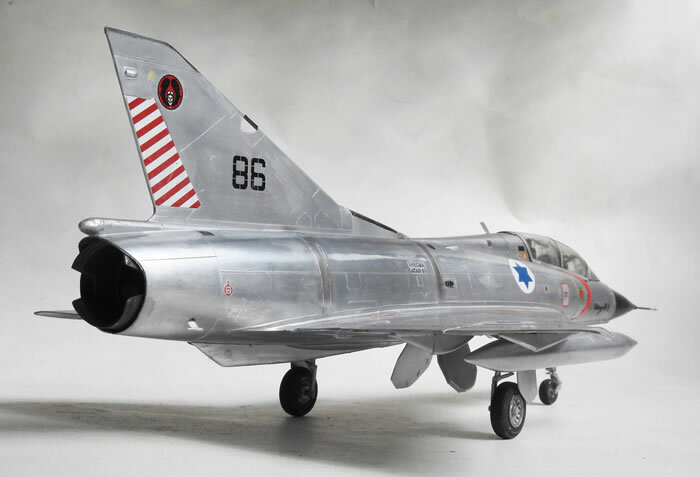 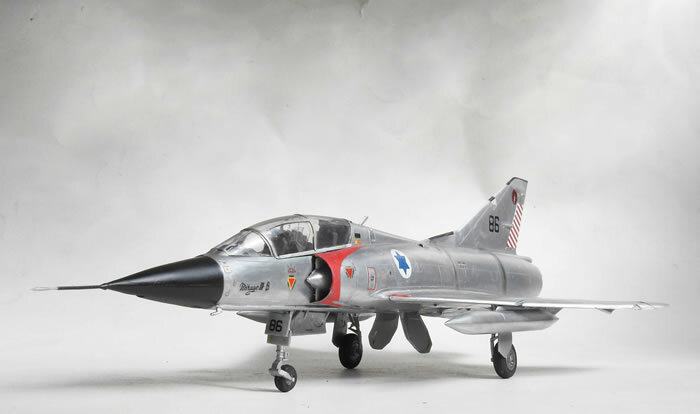 The model with the added canard arrangement depicts an aircraft that was used for early trials during the development of the Kfir. 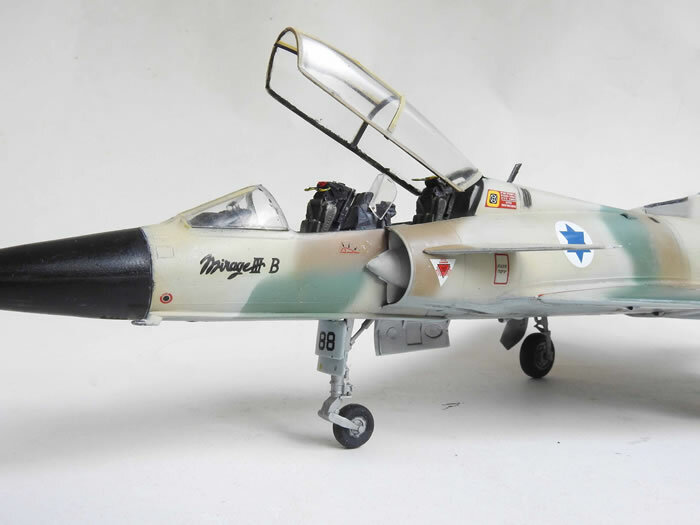 I added Pavla's ejection seats to enhance cockpit detailing. 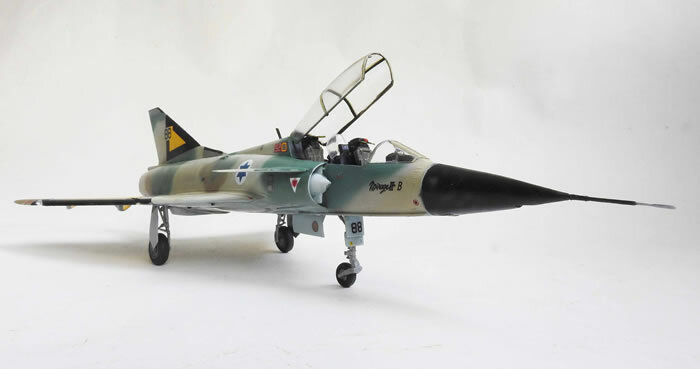 You would want to display this model with an open canopy because the fit of canopy to the fuselage is poor. 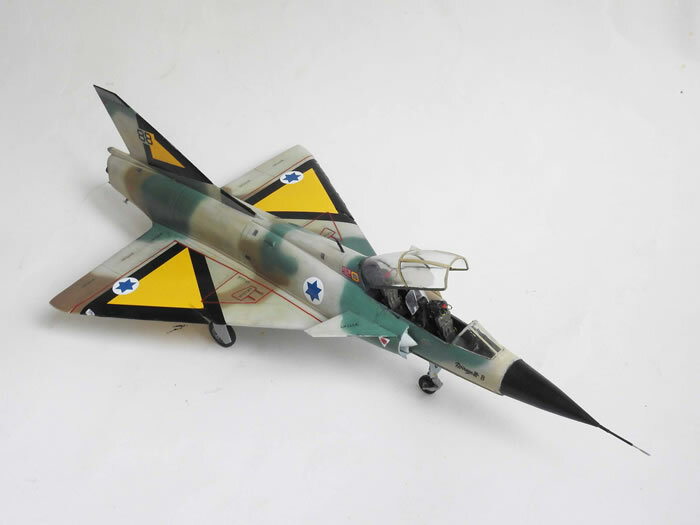 Unfortunately, the model is plagued with fit issues, but the end result is worth the effort.